In a relief to tax payers, the government has asked taxmen not to proceed with recovery of a 'confirmed' demand in relation to indirect taxes during pendency of stay applications. The CBEC issued a circular on 'Recovery of Confirmed Demand of Tax During the Pendency of Stay Application' in relation to indirect taxes. 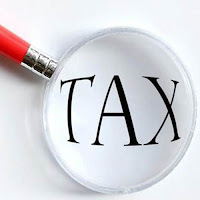 Confirmed demand of tax arises, when after examining the submissions of a tax payer, an order is issued confirming demand of tax from a tax payer.